Oingo Boingo started as a semi-theatrical music and comedy group in 1972 lead by Richard Elfman under the name The Mystic Knights Of The Oingo Boingo, but in 1979 lead by Danny Elfman (Richard's younger brother and soon-to-be the world's most notorious film composer) they reformed to a new wave rock band and shortened their name, first just to The Mystic Knights and then settling to Oingo Boingo. By 1985 the band had become well known for their energetic live shows, they had released four albums and their music, as well as the band, had appeared on films. Their fifth album, Dead Man's Party, was their most popular one, with the title track included in the film Back To School and Weird Science in the John Hughes film of the same name. It was right about then that Elfman begun scoring movies, starting with Tim Burton's Pee Wee's Big Adventure. 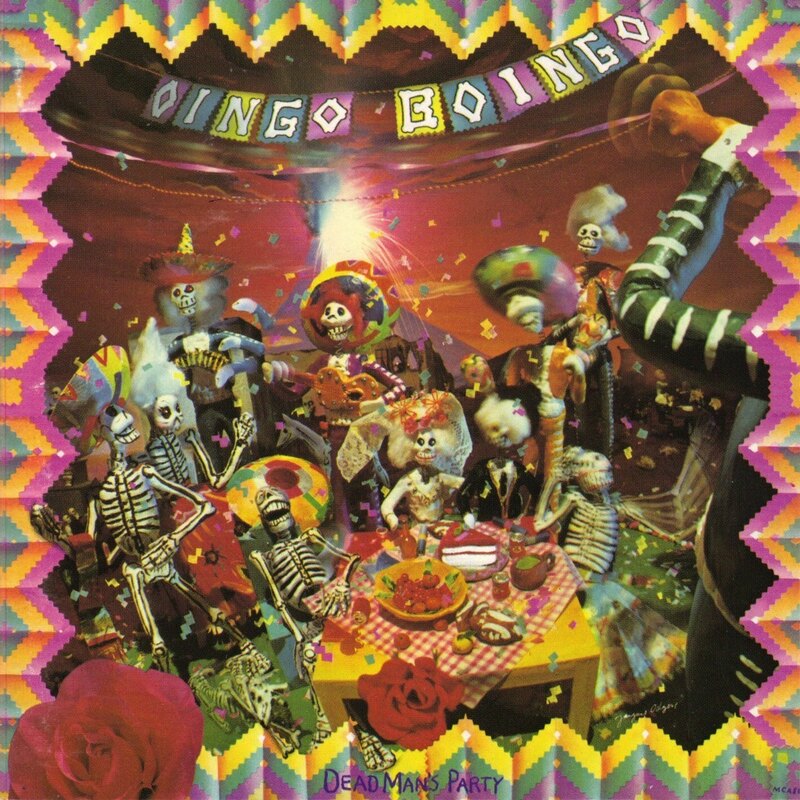 Oingo Boingo did three more albums after Dead Man's Party, until the split in 1995 following a big farewell tour that ended in a final performance on Halloween night. That show has been recorded and released on the double live album, Farewell.